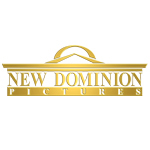 Distribution Opportunity for your Films | New Dominion Pictures, L.L.C. Distribution Opportunities / New Dominion Pictures, L.L.C. For more than 16 years, New Dominion Pictures has produced and distributed more than 500 hours of factual and scripted drama programming for networks such as Discovery, History, National Geographic and TLC among others. Our programs also air on networks in more than 100 countries worldwide. Documentary, drama, paranormal, crime, military, history,science, series, mini-series and one-offs.